First published by The Jerusalem Post - link to initial publication. Israel’s decision not to abide by the Turkish ultimatum about the need to apologize for the May 2010 Mavi Marmara flotilla incident brought the promised “Plan B” punishment: Turkey has decided to expel Israel’s ambassador to Ankara, downgrade its diplomatic ties to the lowest possible level, to hold on all military agreements and to halt trade between Turkey and Israel. Turkish Foreign Minister Ahmet Davutoglu said his government would now provide full support to the families of those killed to pursue prosecution of any Israeli military or government members responsible for the deaths. Until several months ago Turkey’s policy of “zero problems” with all its neighbors, a “bridge between East and West,” and Middle Eastern activism, devised by Davutoglu, seemed successful. 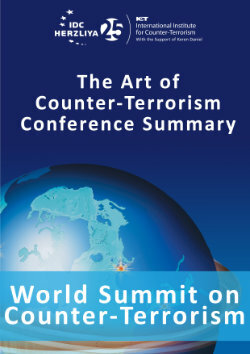 The publicized incident of Prime Minister Recep Tayyip Erdogan viciously attacking President Shimon Peres at the World Economic Forum in Davos in January 2009 and the May 2010 international flotilla incident led by the Turkish Islamist organization IHH brought Erdogan’s and Turkey’s standing in the Arab world to its peak. The Mavi Marmara incident and the ensuing crisis with Israel mark also the beginning of the failure of this policy. The attempt to mediate a peace agreement between Israel and Syria faded away; the excessive support to Hamas led to frosty relations with the then Mubarak regime in Egypt and even with the Palestinian Authority; Turkey appeared more and more as a potential Islamist threat rather than an asset to the West and NATO. The Arab uprisings completely shuffled Turkey’s cards and showed the limitations of its neo-Ottoman ambitions. During the past few years, the AKP government improved enormously the political and economic relations with Syria. In April 2009 Turkey and Syria conducted an unprecedented, three-day joint military drill on their border and signed a letter of intent giving the green light for cooperation in the defense sector. According to the Turkish daily Today’s Zaman, Turkey’s National Security Council lately discussed the possibility of establishing a “buffer zone” along the Syrian border, first in the “no man’s land” between the Syrian and Turkish lines of demarcation and to be extended further into Syrian territory if needed. Ankara’s ties with Iran have also improved under the AKP. Turkey has defended Iran’s nuclearization efforts and in May 2010 brokered (with Brazil) the controversial Iran nuclear fuel swap, which led to nothing in practice. Turkey’s UN vote against Iran sanctions raised serious objections in the United States and Europe. Iran indirectly supported a secret military drill between the Turkish and Chinese air forces that took place in Turkey in September 2010, as Chinese SU-27 warplanes that took off from bases in China refueled in Iran. 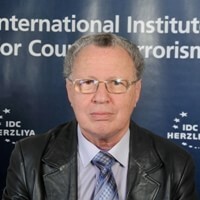 But since the Turkish moves against the Assad regime, Teheran has been influential in disrupting Syria’s confidence in Turkey by disseminating anti-Turkish propaganda, has stopped intelligence cooperation with Turkey in the fight against the Kurdish PKK in Iraq, and has even threatened it not to intervene in Syrian affairs. Iran was also unhappy about Turkey’s support to the Bahraini regime’s repression of the Shia rebellion. Turkey opposed the rebels in Libya at the beginning of the Benghazi uprising and the NATO intervention, but in the end it had to bandwagon the alliance and these days recognizes the NTC government. When Cyprus decided to go ahead with gas drilling off its southern coast beginning in October 2011, after it concluded a maritime boundary agreement with Israel in 2010, Turkey unalterably opposed this course. Turkey claimed that having invaded Cyprus and established a Turkish entity there, which no one else recognizes, it is entitled to forestall all activity in the Cypriot economic exclusion zone (EEZ) until the status of Cyprus is worked out through negotiation. At the same time, Erdogan has announced to the United Nations and leaders of Cyprus that his country is no longer prepared to accept the concessions it has agreed to in order to help with the reunification of Cyprus in line with a UN plan back in 2004. The Turkish side will accept nothing short of recognition of a two-state solution on the island. As a consolation prize, “to showcase Ankara’s ambition to become a major political and economic player in Africa,” and “raise Turkey's profile even further,” Erdogan lately visited Somalia, the country that has been worst affected by a prolonged drought in the Horn of Africa. He announced that Turkey had raised $137 million for Somalia, and pledged it would open an embassy, build roads and open more schools and hospitals. Erdogan also promised to help facilitate a settlement to Somalia’s internal conflict, with the Islamist Shabab militia to be part of the peace process. The Turkish foreign minister has threatened to become more active in pushing the Palestinian Authority’s request for the recognition of a Palestinian state at the next UN General Assembly. It seems the Erdogan government is amnesic regarding its own main internal problem, the Kurdish issue. The most immediate impact of the UN recognition of the Palestinian state could be on the Kurds, in Turkey, Syria and Iraq. The AKP government has not solved, as promised, the Kurdish problem and since it won the June 2011 elections is facing a growing terrorism and guerrilla offensive inside Turkey and from Iraq, an active political opposition by Kurdish parliamentarians and the declaration of a “democratic autonomy” by Kurdish NGOs in the in southeastern province of Diyarbakir (Turkish Kurdistan). The Turkish air force lately bombed “60 pre-determined targets belonging to the separatist [PKK] organization” in Iraq and its artillery struck at 168 additional targets with “intense” fire from the Turkish side. The Turkish military stated that an estimated 145 to 160 PKK members were killed and scores injured. The pro-government Turkish daily Zaman reported that Turkey was setting up “operational front garrisons” inside northern Iraq where hitherto it used to maintain a low-key intelligence presence to monitor Kurdish activities. Iraqi Foreign Minister Hoshyar Zebari denounced Turkish bombardments of Kurdish areas in northern Iraq. Human Rights Watch said in a statement that many of the targeted areas were purely civilian and most of the victims were civilians. By threatening Israel, Turkey’s government seems to have passed from the “zero problems” policy in the Middle East to an “all azimuth hostility” strategy.